Chipotle is still reeling from a nationwide E.Coli outbreak across multiple states - here are the real risks posed by the nasty bacteria. Chipotle is in big trouble. As BABW News reported recently, the company is currently facing a crisis-level E.coli outbreak in dozens of restaurants across multiple states. The outbreak in Chipotle restaurants shows no sign of ending anytime soon, and infected food is putting burrito lovers at serious risk. The most recent outbreak of food-borne illness occurred near Boston College when nearly 80 students became ill with norovirus after eating at a Chipotle location in Brighton. The chain is also dealing with confirmed reports of a particularly harmful strain of E.coli, Escherichia coli O26, in stores located in nine states. So far, 43 Chipotle locations have been shuttered for deep cleaning and inspection. The company’s stock plummeted nearly 30 percent over the past few months, and only began to recover when their CEO announced a step-by-step plan for ensuring that Chipotle restaurants were safe visit. Despite the proactive response to the outbreak, many consumers are rightly wary of contracting E.Coli from a tainted burrito. E.Coli has been responsible for massive food recalls over the past few decades, with recent cases hitting Costco and Starbucks-prepared food products. 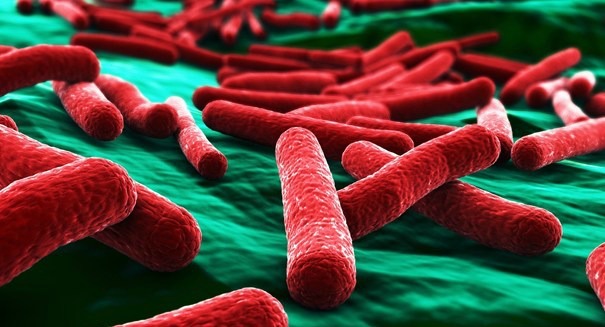 E.Coli causes an estimated 48 million illnesses in the U.S. alone each year, leading to roughly 105,000 hospitalizations and an estimated 2,000 deaths annually. Officials estimate that there is roughly a 15 percent chance of contracting the bacteria in a year’s time. There are many strains of E.Coli, some of which even make up part of the bacterial communities in the human intestines. Some strains, like Escherichia coli O26, can be extremely harmful, and sometimes even deadly. E.Coli is more likely to kill older and younger people, as well as people whose immune systems fail to attack the pathogen. Even in non-lethal cases, the bacteria can be extremely unpleasant. Common symptoms of E.Coli infection include diarrhea, urinary tract infections, and pneumonia. The Centers for Disease Control and Prevention (CDC) recommends thoroughly washing and cooking food before consumption, and avoiding cross-contaminating cooking surfaces that may come into contact with raw meat. Food should be cooked to at least 165 degrees before the majority of harmful pathogens are destroyed. A press release from Chipotle regarding the recent outbreak and outlining the company’s plan to become a leader in food safety can be found here.